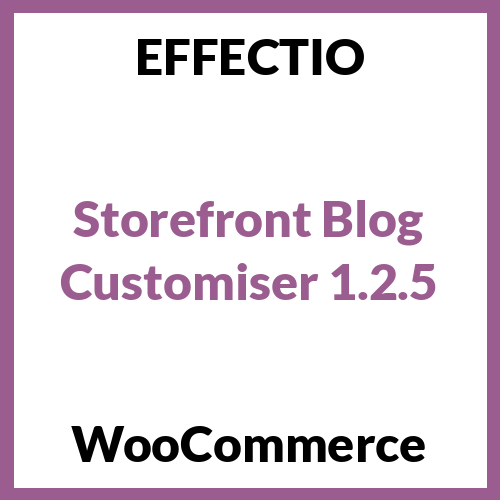 Make your blog unique using a design that suits your content using the Storefront Blog Customiser plugin. This extension is designed to work specifically with Storefront, the official WooCommerce theme. Take control over your posts layout. You can specify the alignment of your content, tags, or categories. You can apply a different post layout to blog archives, single blog posts, and the blog post component on your homepage. There are also options to specify that the post archives are displayed in a full-width layout, hiding the sidebar. If your blog does not need a sidebar, you can apply this option to the single post pages. This can work well and immerse visitors directly into your content which has no competition for attention.